This is an operation to remove the vitreous from the eye. The vitreous is the clear jelly filling the eye and most of the blood is removed with the vitreous. The surgeon makes tiny holes through the white of the eye (the sclera) to gain access to the vitreous space and uses a microscope and fine instruments to perform the operation. The vitreous does not re-grow and so after the operation the eyeball will be filled with fluid which is produced naturally inside the eyeball. Who will perform the operation? An experienced eye surgeon will carry out the operation and may supervise a trainee doctor who may perform part or all of the operation. Under what circumstances might I need to contact the Eye Department before my operation? In the days leading up to surgery please let us know about any problems that you think may affect your operation. In particular if you have problems with your diabetes control or if you have any kind of infection let the eye department know well in advance. If your vision clears while you are waiting for your operation you may no longer need surgery – please let us know early so that we can schedule another patient for surgery if you no longer require surgery on the arranged date. (Contact numbers are given at the end of this leaflet). Will the surgeon do anything else to my eye at the time of the vitrectomy? At the time of the operation it may be necessary to perform additional treatments such as laser treatment. Laser treatment is often performed at vitrectomy in diabetic patients. The laser heats up and deliberately destroys some of the peripheral retina and this is thought to reduce the oxygen demands of the retina. This in turn reduces the drive for the new abnormal blood vessels to grow. This can even cause existing abnormal blood vessels to shrink. Laser treatment can affect the peripheral sight (see “What are the possible side effects of vitrectomy” below) and this may be considered to be a necessary consequence of efforts to try to protect the central sight. If a tear occurs in the retina the surgeon may use freezing or further laser treatment to the retina to reduce the risk of retinal detachment (see “What are the possible side effects of vitrectomy” below). We may then put a gas or oil bubble in the eye to support the retina for a while. If we use a gas bubble, your normal body fluids will replace it naturally over time. If we use silicone oil, we usually remove this with another operation several months after your first operation. As the blood and vitreous are being removed the surgeon is able to see the retina more clearly. This may reveal other features that require attention. For example there may be firm attachments between the vitreous and the retina, and the vitreous may be pulling on or distorting the retina. This may require careful separation which may add time to the operation. A vitrectomy for diabetic vitreous haemorrhage normally takes between 1 and 2 hours but may take longer depending on the complexity of the case. What anaesthetic will be used? Many vitrectomies are performed under general anaesthesia. When you arrive in the operating theatre anaesthetic room, the anaesthetist will normally give you an injection in your hand or arm and you will then stay asleep during the operation. The anaesthetist will monitor your heart rate, breathing, blood oxygen, and blood pressure whilst you are under the anaesthetic. You may feel tired and sleepy for 6-12 hours after the operation. Local anaesthesia is increasingly being used as an alternative. If you have a local anaesthetic, you will be awake during the operation. Before the operation, we will give you eye drops to enlarge your pupil. After this, we will give you an anaesthetic to numb your eye. This involves injecting local anaesthetic solution into the area around your eye. During the operation you will not need to worry about keeping your eye open – the lids are gently held open with a device called an eyelid speculum. The local anaesthetic also “numbs” the eye movements and the vision so that normally you don’t need to worry too much about keeping the eye still and you don’t usually see clearly during the operation. A sticky sheet is stuck to the skin around the eye during the operation and the sheet covers the other eye. The sheet is lifted up off the mouth and nose. During the operation we will ask you to lie as flat as possible and keep your head still. For many patients the operation can be done as a day case (you come into hospital on the day of the operation and go home after the operation later on the same day). Be prepared to be in hospital for some hours before and after the operation. Other patients may require admission the night before surgery for example if treatments are required to control the patient’s blood sugar prior to an operation. Also some patients may stay overnight in hospital after surgery and if necessary for longer to allow recovery from general anaesthesia or if the eye requires close monitoring. When is vitrectomy considered for patients with vitreous haemorrhage? Blood can clear from the vitreous cavity gradually with time without surgery. Vitrectomy is considered if the blood is taking a long time to clear or if there are frequent haemorrhages. In addition the eye doctor may feel that an early vitrectomy could prevent further problems developing while waiting for the blood to clear, particularly if the cause of the haemorrhage is not certain or if you have not had any prior laser treatment for your diabetic retinopathy. What are the likely benefits of vitrectomy for diabetic vitreous haemorrhage? 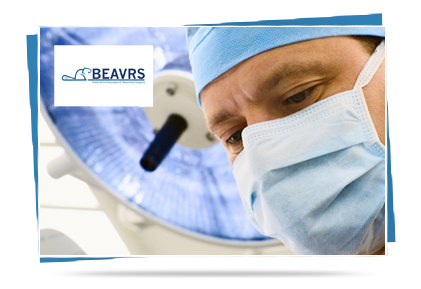 The operation is performed to remove the vitreous with the blood and therefore to make the vision clearer. The operation may also reduce the tugging of the vitreous on the abnormal blood vessels which makes the chance of them bleeding again less likely. What are the possible side-effects of vitrectomy? There are many potential side-effects of vitrectomy and the list below is not exhaustive. Most patients have straightforward surgery without significant complications. Cataract This is a clouding of the lens inside your eye which can cause blurred or reduced sight. If you have not already had cataract surgery, you may develop a cataract as a consequence of having a vitrectomy for diabetic vitreous haemorrhage. The chance of you needing a cataract operation may be around 1 in 5 at 1 year. The chance is less if you are younger and if you have no cataract present before surgery. Cataract surgery replaces the cloudy lens with a clear artificial lens. Retinal tear and retinal detachment A tear in the retina may occur 1 in 10 times with this surgery. Usually tears can be identified and treated at surgery and cause no further problems (see “Will the surgeon do anything else to my eye at the time of the vitrectomy?”). However occasionally a retinal tear allows fluid to pass from the vitreous cavity between the retina and the inside of the wall of the eyeball and the retina comes away like wallpaper coming off the wall. This is known as retinal detachment and may occur in 1 in 50 cases. Most retinal detachments can be repaired with further surgery but occasionally they cannot and this leads to loss of sight. Tears or detachment are more likely with more complex surgery. Postoperative vitreous cavity haemorrhage This occurs in 3 out of 10 of patients after vitrectomy for diabetic vitreous haemorrhage and refers to blood still present in the eye immediately after surgery (residual blood) or the occurrence of a new haemorrhage into the vitreous cavity at some time after surgery (recurrent vitreous bleeding). Recurrent vitreous bleeding usually occurs between 2 and 6 months after surgery. Sometimes the blood can clear again spontaneously but in other patients it does not clear quickly and can sometimes cause high pressure inside the eye. A further operation called a vitreous washout for residual blood or recurrent blood may be required for 1 in 10 patients at some point after the initial vitrectomy for diabetic vitreous haemorrhage. The experience of this vitreous washout operation for the patient feels similar to the experience of the original vitrectomy operation. Raised pressure in the eye – this may occur for several reasons. Occasionally if pressure is very high the eye can be painful and patients can experience nausea and vomiting. Usually the pressure can be controlled with eye drops or medications for a few weeks. Occasionally, however, further surgery is required and in some cases the sight is damaged particularly if the pressure rise is very high and prolonged. Sympathetic ophthalmia – this is a condition where surgery to one eye can cause inflammation in both eyes. This may require strong medications and can result in poor sight in both eyes. This condition may occur between 1 in 1000 and 1 in 2000 times after vitrectomy. Pupil size and focussing – occasionally especially if laser or freezing treatment is employed at surgery, the pupil can remain larger on the treated side, even after stopping eye drops given after surgery which may have these effects. This can affect focussing and you could be sensitive to bright light. This usually almost completely recovers over the months following surgery. Reduced peripheral field (or side vision) and reduced night vision – this may occur as a consequence of laser treatment performed at surgery. Sometimes this can stop patients driving because the DVLA standards require patients to have a certain amount of peripheral field. Endophthalmitis – this is a term we use for infection inside the eyeball. It may occur between 1 in 1000 to 1 in 2000 times after surgery. This can be bad for the eyesight long-term and may lead to further treatment or operations. Choroidal haemorrhage – this is bleeding between the layers of the wall of the eyeball and may occur in around 1 in 1000 patients. This complication can badly affect vision long-term and further operations may be required. Loss of the eye – this is a very rare event following this operation. Most commonly surgery to remove an eye or part of the eye is performed if the sight is lost and the eye has become painful or unsightly. This may occur because of factors unrelated to the surgery. Afterwards a cosmetic shell or “glass eye” can achieve an extremely good cosmetic effect. Is there any risk to my other eye from this surgery? When should I seek medical help between appointments? The eye should become more comfortable with time and the vision should gradually improve. Increasing pain or dropping vision (including blurring or a shadow in an area away from the central vision) should be reported quickly to the hospital eye department (contact details below). It is likely that your GP or optician will not have sufficient experience to be able to assess you for problems after a vitrectomy. What else will I be asked to do after my operation? You will be prescribed eye drops before you leave hospital following your operation. If you are putting different eye drops in at the same time of day wait a few minutes between each drop. You may require a pain relief tablet such as paracetamol. If this is not adequately controlling your discomfort you should contact the Eye Department. Wear this if you are sleeping to prevent pressure on your eye and to prevent you from rubbing the eye in your sleep. Sometimes after a vitrectomy you are asked to lie down in a particular position for a prolonged period. Move your legs frequently while you are lying down and in particular get into the habit of flexing your feet up and down. This will maintain the circulation in your legs. During breaks from posturing make sure that you move around. Drink plenty of fluid and try to maintain a good diet. What are the alternatives to vitrectomy? Other than waiting for the blood to clear spontaneously, vitrectomy to remove the blood and vitreous is the current standard approach to dealing with diabetic vitreous haemorrhage. Injection of drugs into the eye such as bevacizumab, ranibizumab or microplasmin may in future play a role and some surgeons may discuss these treatment options with you. How will I feel after my vitrectomy? On the first day after the operation patients often feel a little unsteady or faint. Nausea and vomiting can sometimes occur after general anaesthesia and can sometimes occur with high pressure in the eye. If you have had gas put into your eye this will gradually go away on its own over the next 3-8 weeks. Although the gas floats on top of the water in your eye you see the bubble upside down. The lower part of your field of vision will be poor but as the bubble becomes smaller your vision will come back from the top first. The process will take 3-8 weeks. Your vision will be poor until most of the gas has gone. Even without the gas your vision may be blurred especially if there is still some blood in your eye. Sometimes the bubble breaks up into little bubbles – this is normal. Your eye will feel scratchy until the stitches on the surface of your eye have dissolved. This may take a few weeks. It is normal for your eyelids to be puffy and for your eye to water a lot. Occasionally your tears can be a little blood-stained and this may show through the eye pad used on the first night. Your lid may be droopy for a few weeks and usually recovers completely. Your eye will be bloodshot for a month or longer. Some of the eye drops you have been given may dilate the pupil and interfere with focussing. When the drops are stopped the pupil usually returns to a normal size. If swelling, bleeding or pain is excessive or if you have concerns about anything you should contact your Eye Department (contact details below). What precautions do I need to take after my vitrectomy? If you need an operation for anything at all which requires a general anaesthetic, it is very important that the anaesthetist is aware that there is gas in your eye. They must avoid the use of nitrous oxide gas until the gas has completely gone. Check your vision once every 3-4 days with the other eye covered. Report any concerns about your vision to the Eye Department. When can I drive after my vitrectomy? The licensing authority (DVLA in the United Kingdom) has visual standards that must be met for you to be allowed to drive. All diabetics taking tablets for diabetes or insulin should inform the DVLA and in many cases patients with diabetes will be allowed to continue driving. If you have any treatments to the retina again it is important to inform the DVLA to make sure that you still meet their requirements. In particular laser treatment of diabetic retinopathy can sometimes lead to patients having worse peripheral sight than is required by the DVLA standards. You should discuss this directly with the DVLA and ask your doctor for advice if you have any doubts. In addition your doctor may advise a period without driving after surgery. If gas has been put into the eye this could interfere with driving and you should wait for the gas to go away fully before driving. You should ask your eye doctor’s advice if you are in doubt and also make a personal common-sense decision about whether you feel ready to drive again. Will the operation prevent me having future eye problems? As described above in “What are the possible side-effects of vitrectomy?” There may be reasons related to the vitrectomy why further treatments or operations may be required. However in addition you should make every effort to achieve good control of blood sugar, blood pressure and cholesterol. Good control of these factors can reduce the risk of further deterioration of sight and surgery cannot always be relied on to restore sight that is lost as a result of diabetes.